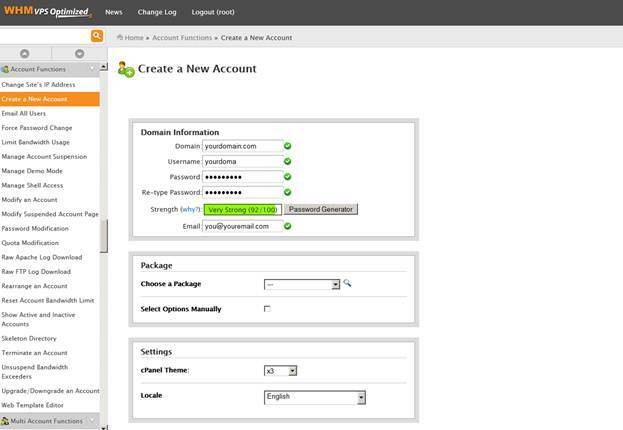 If you want to host a domain name's website on your server using cPanel®, you have to create an Account in WebHost Manager (WHM). Log in to WebHost Manager using root for your username and your server's password at https://yourserverip:2087, where yourserverip is your server's IP address. WHM displays a results page outlining your new Account. 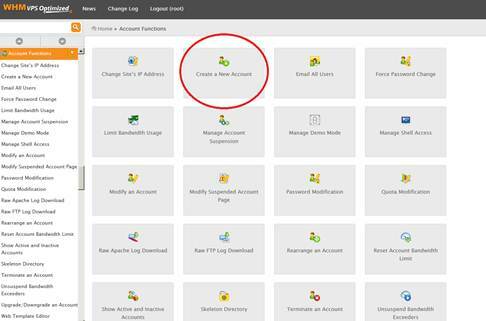 If there are no problems, you'll see Account Creation Complete at the bottom of the page. You can use your domain name as a nameserver for websites hosted on your server. 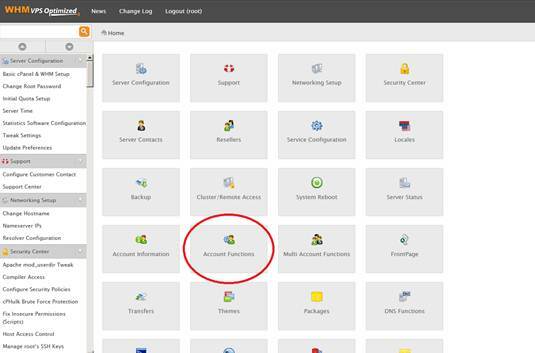 You can find information on WebHost Manager in the cPanel documentation pages.